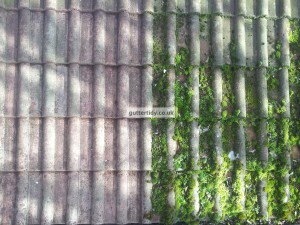 Hand roof cleaning and moss removal service available. 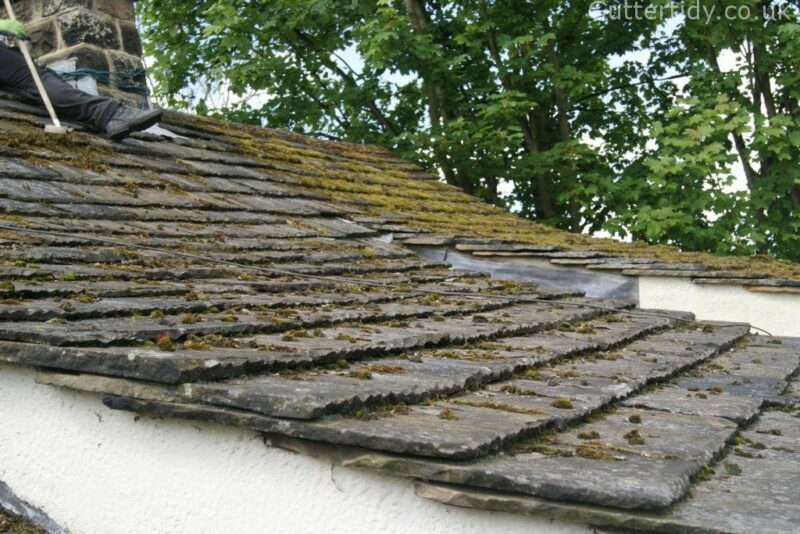 We remove moss from roofing by hand and brushing rather than any chemical treatment. 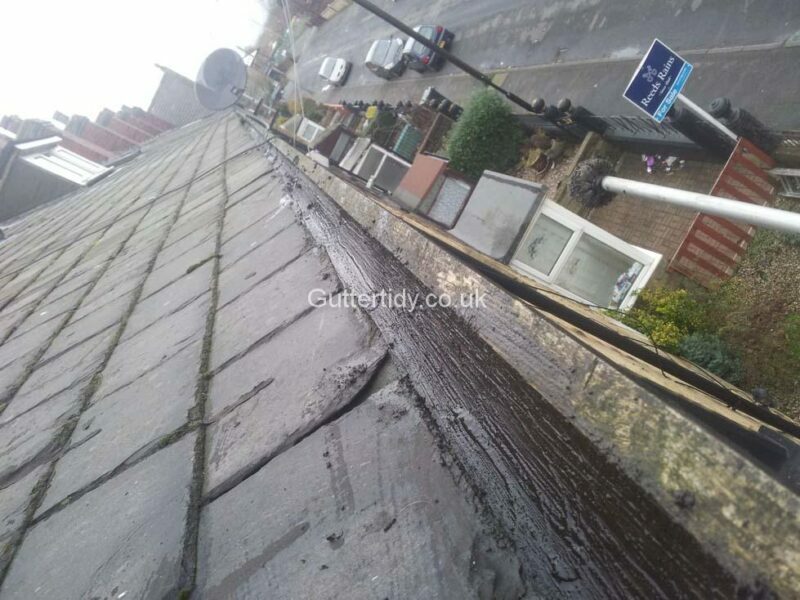 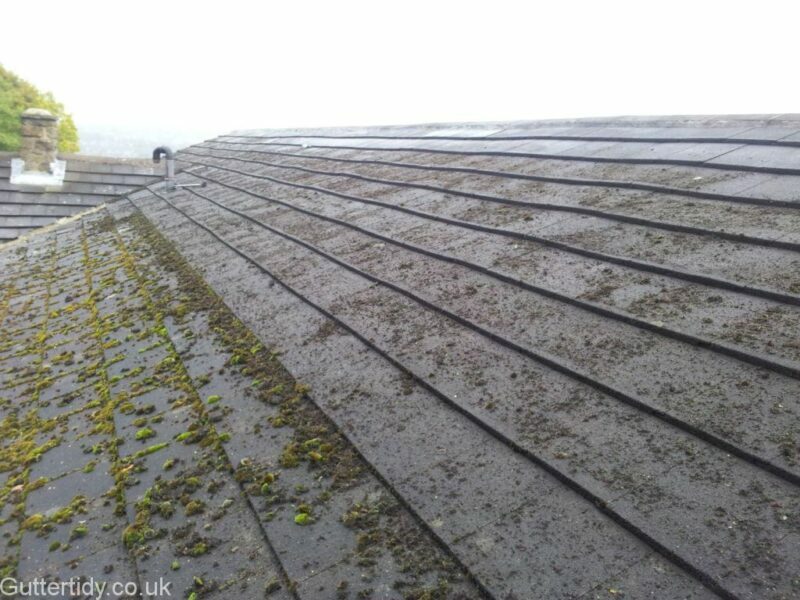 The effects of brushing moss off the roof can be quite dramatic as the picture below shows. 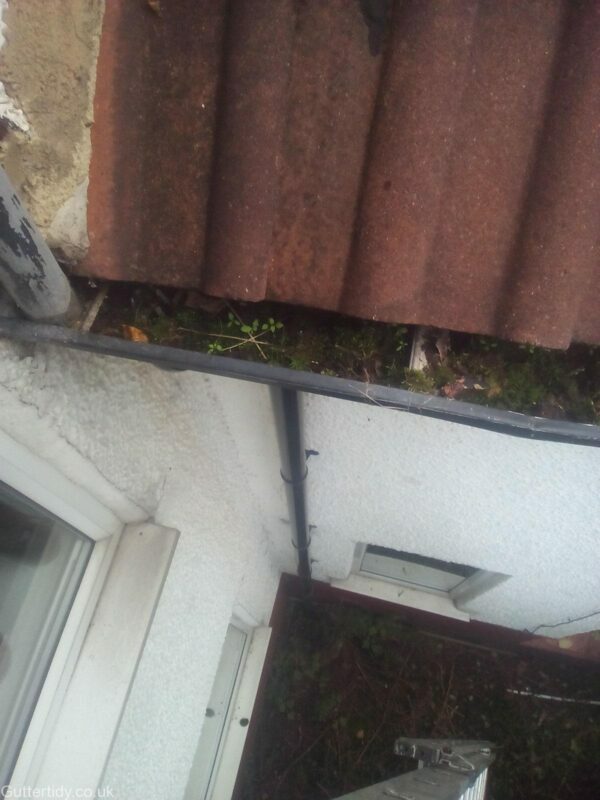 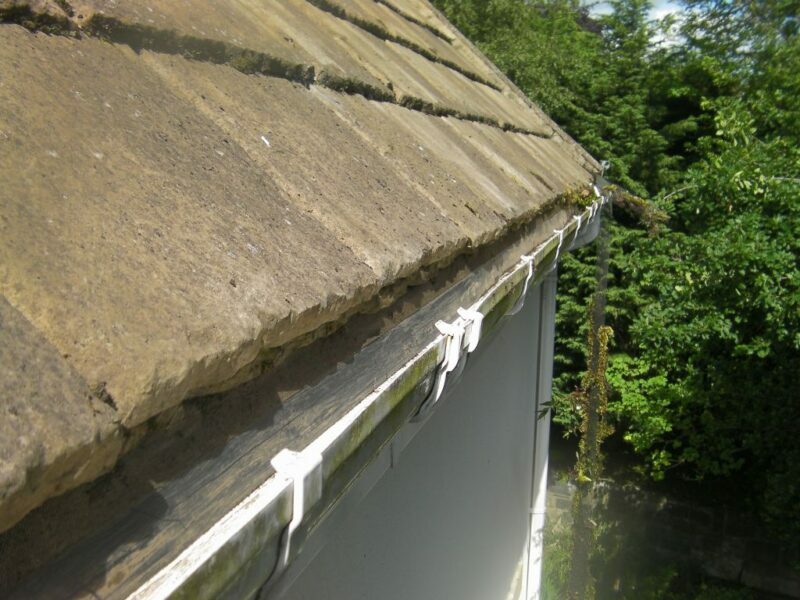 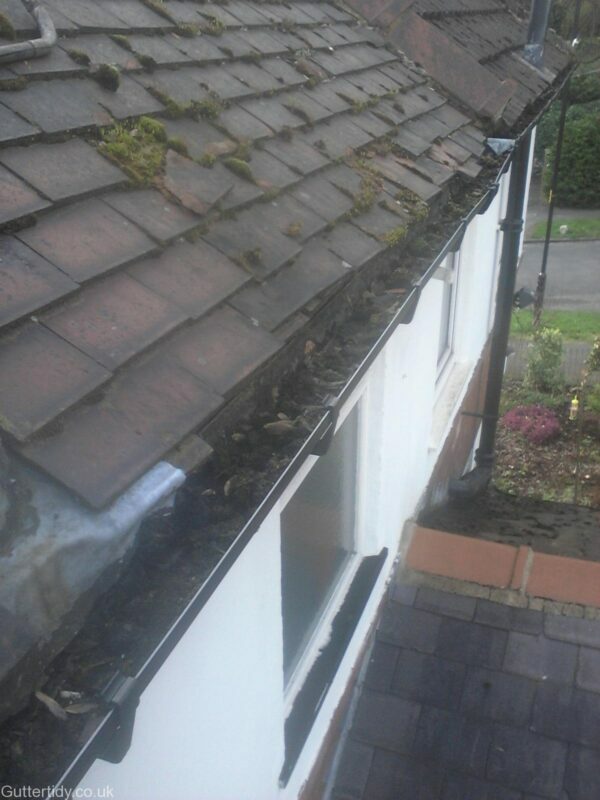 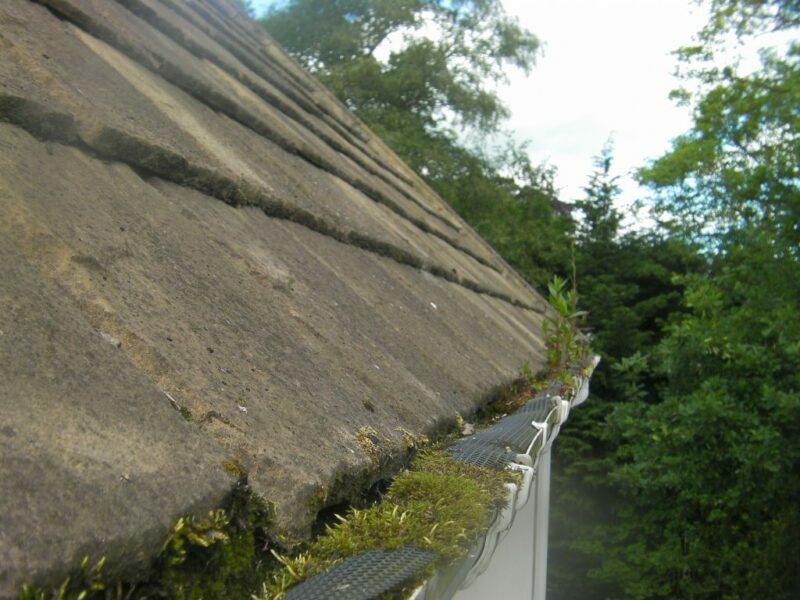 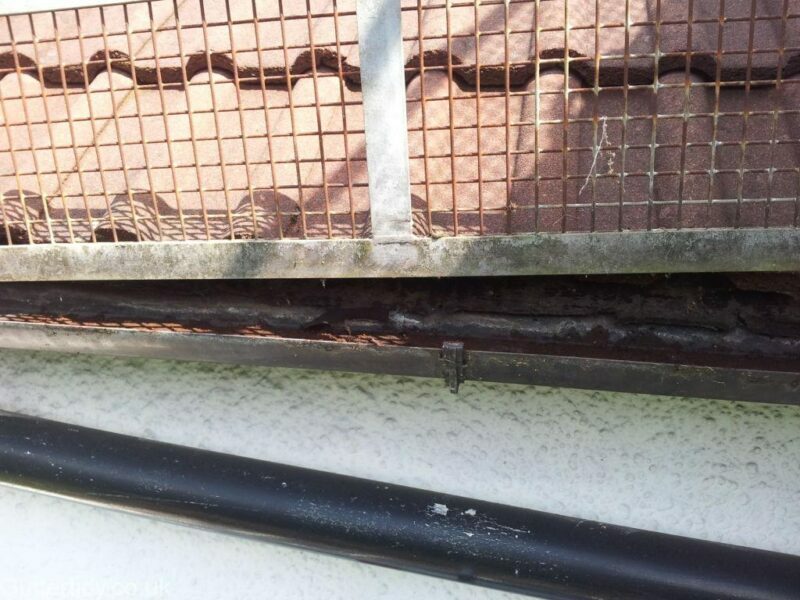 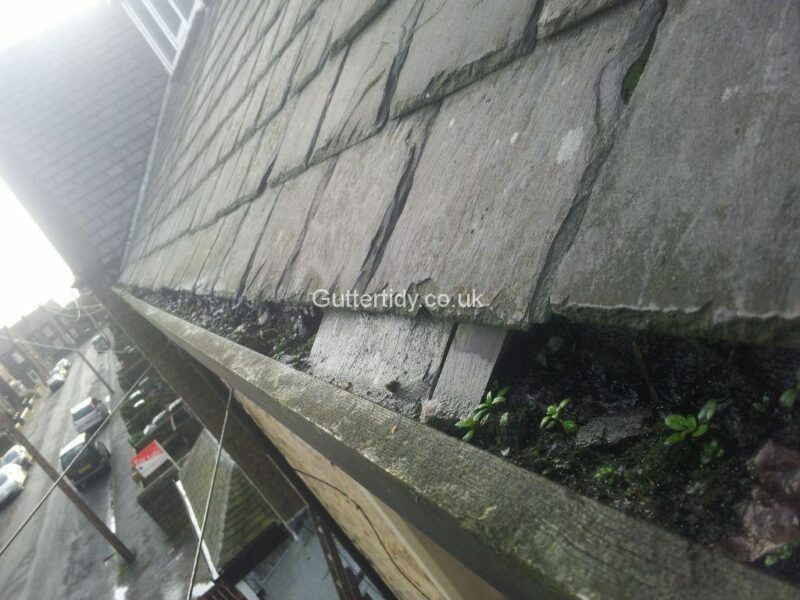 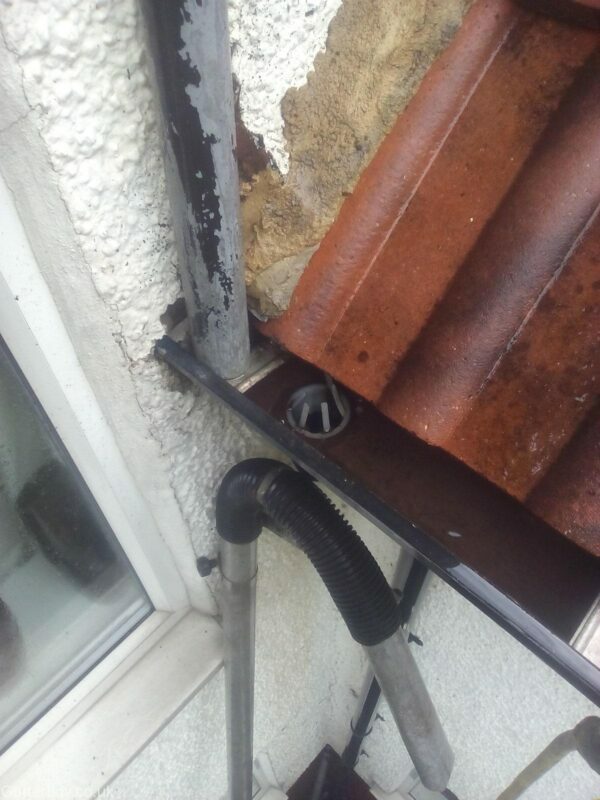 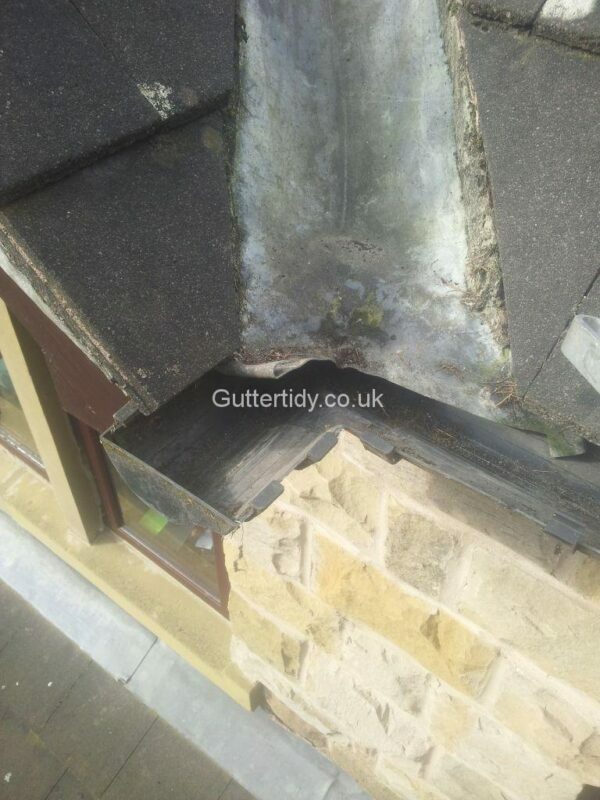 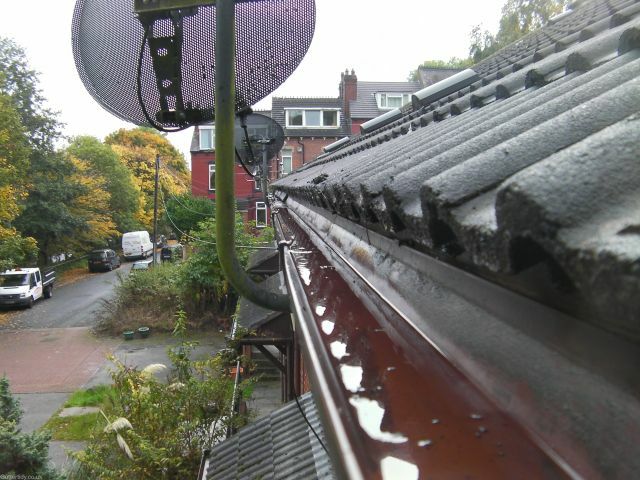 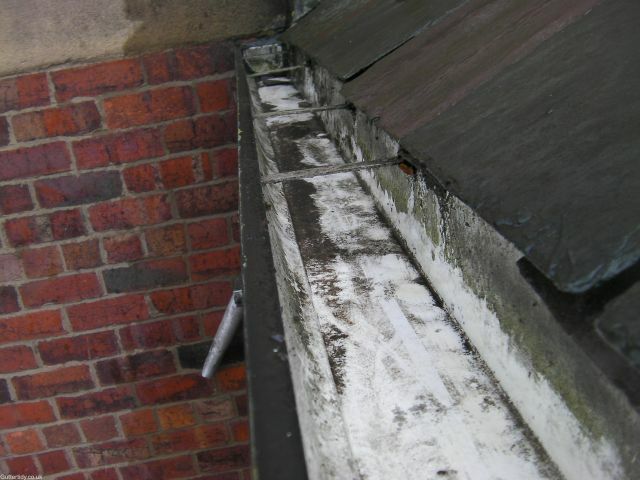 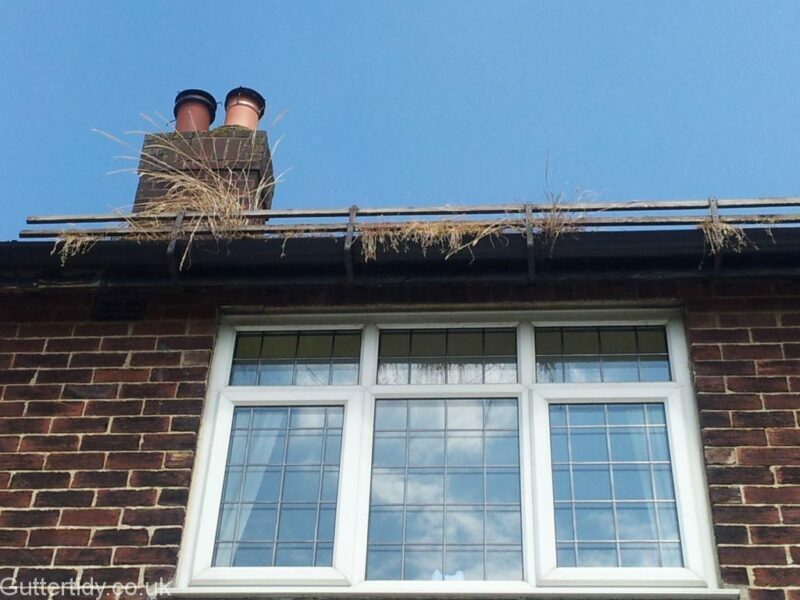 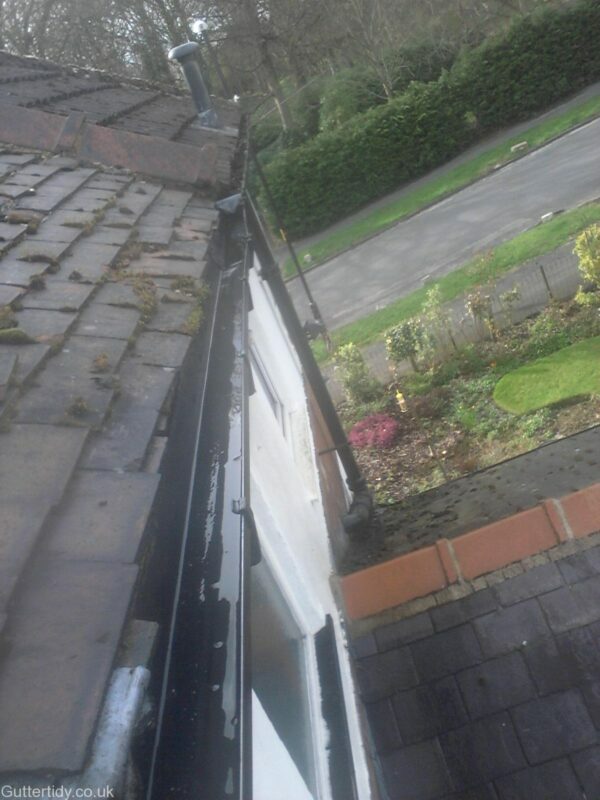 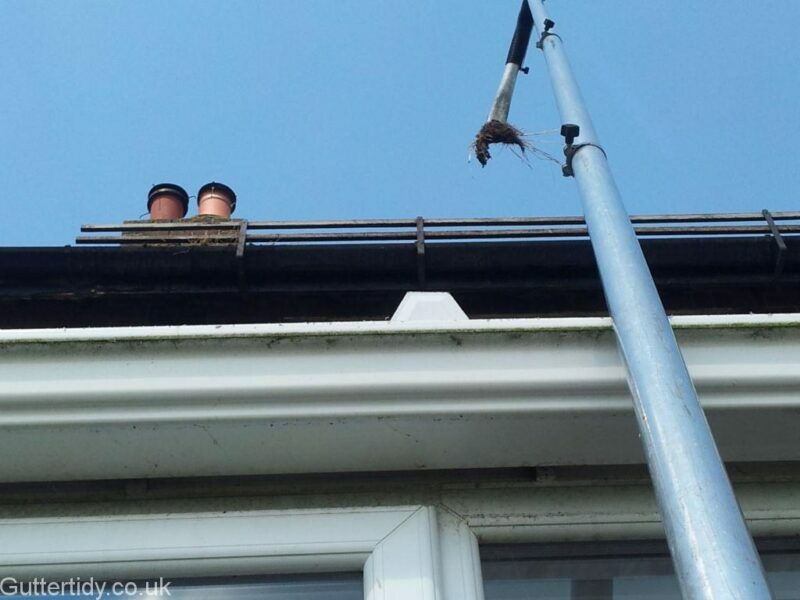 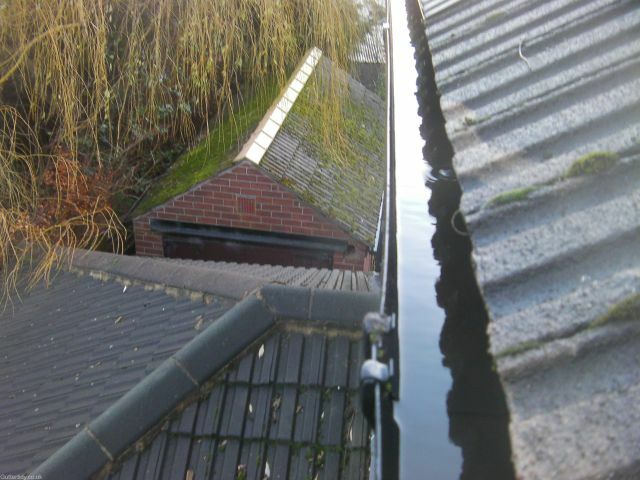 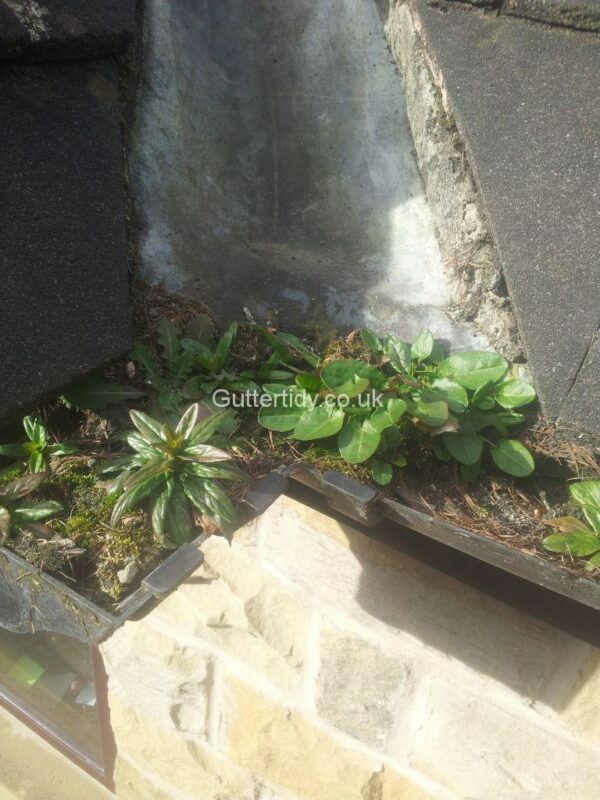 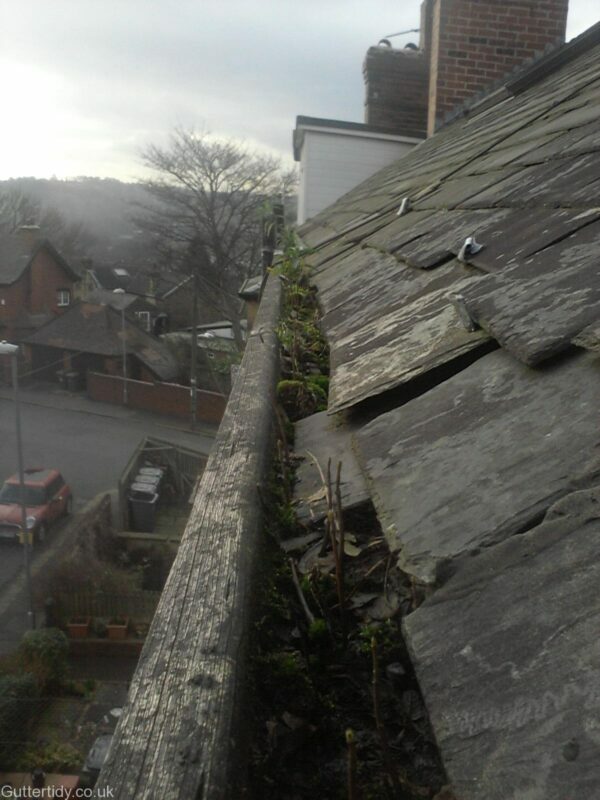 Moss growing on roofs is, for the most part, unsightly and can provide a constant supply for clogging up your guttering. 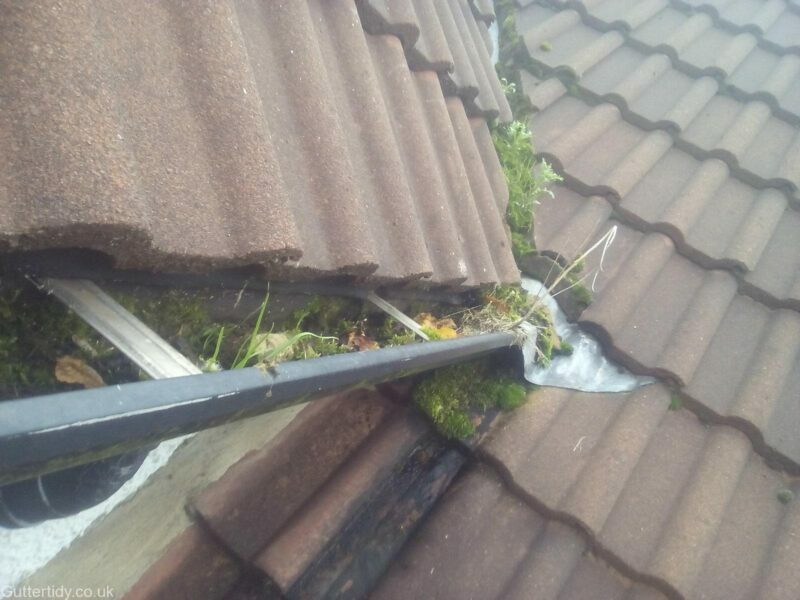 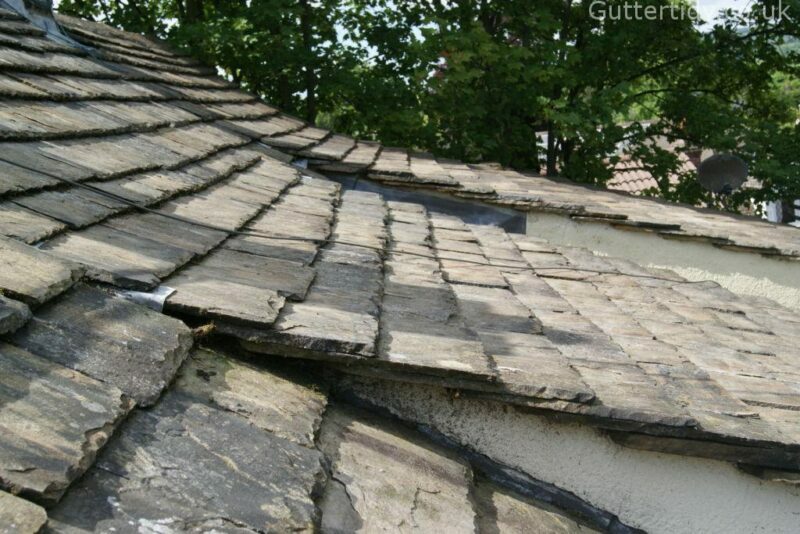 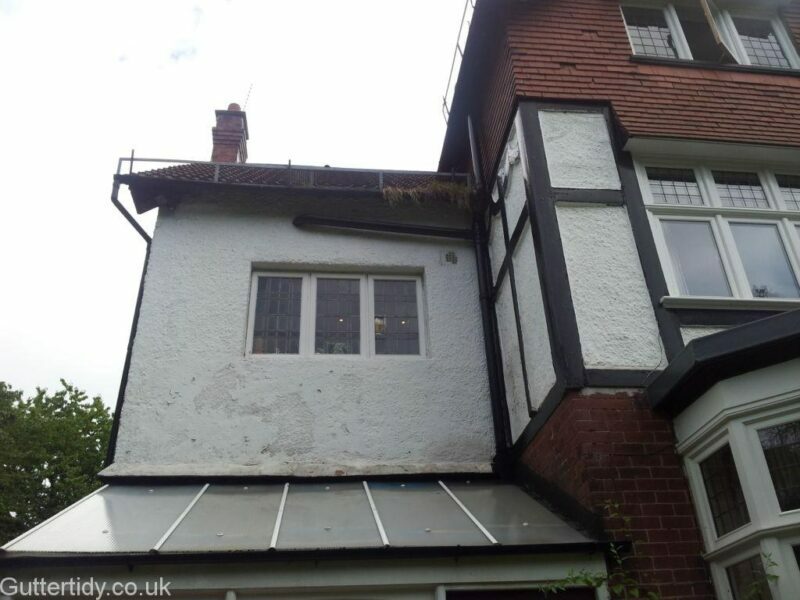 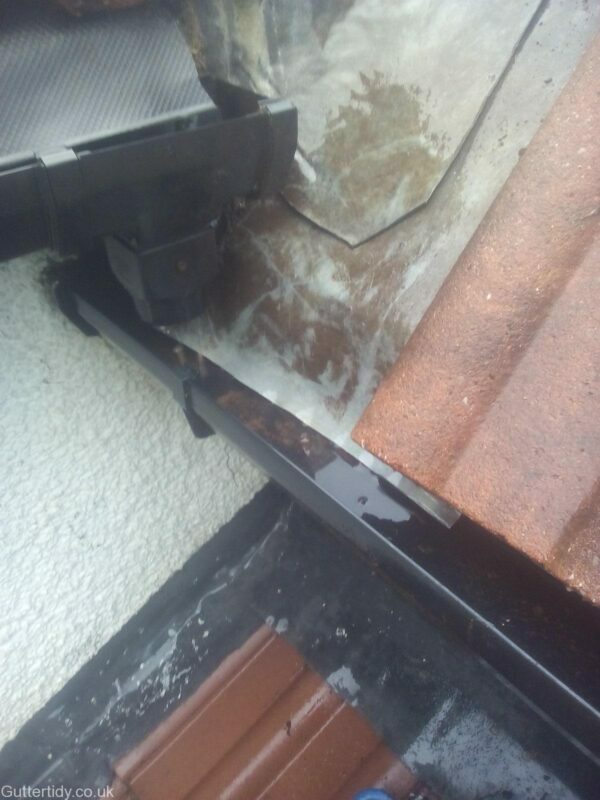 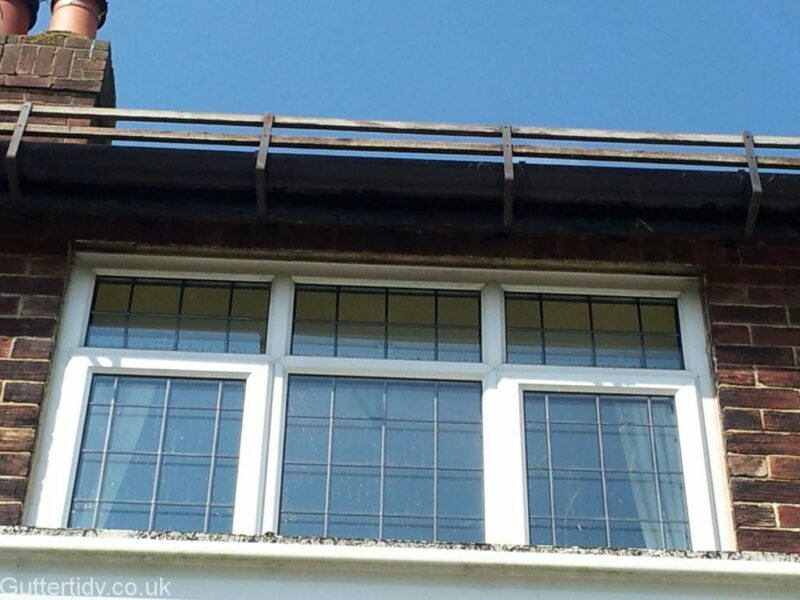 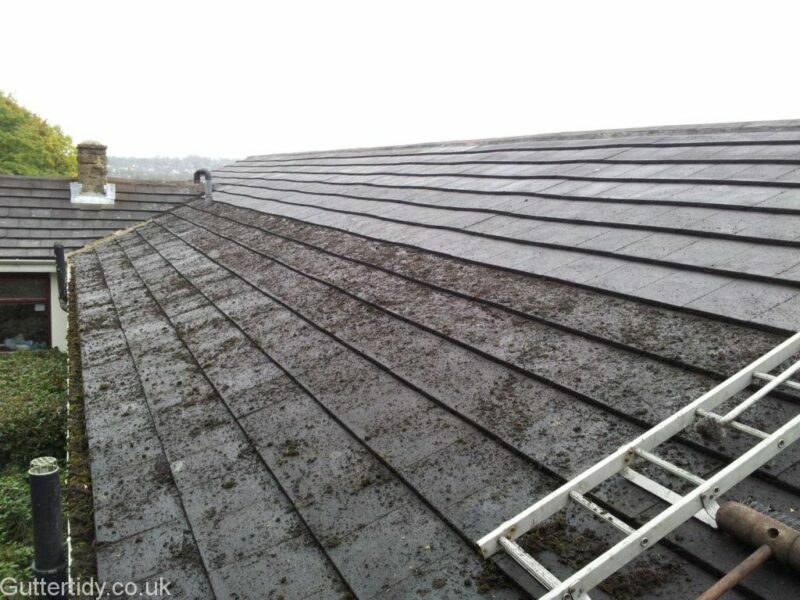 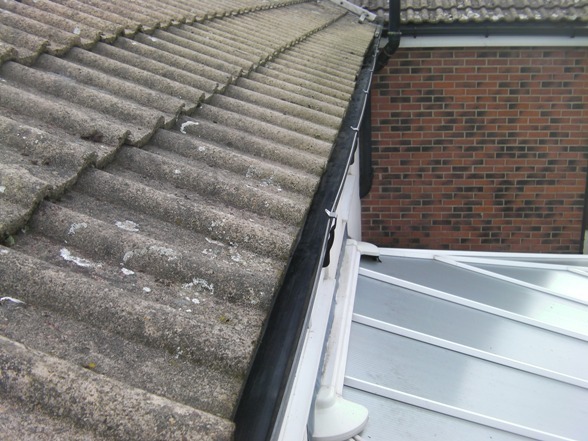 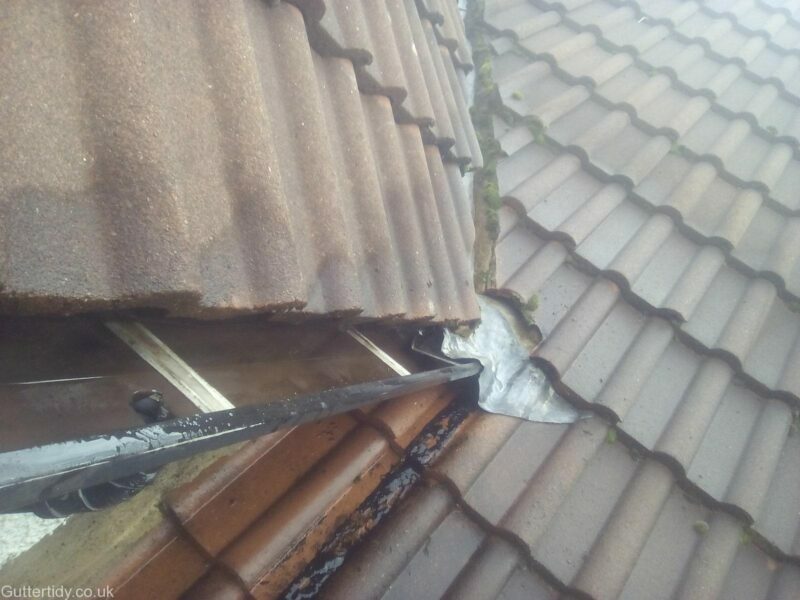 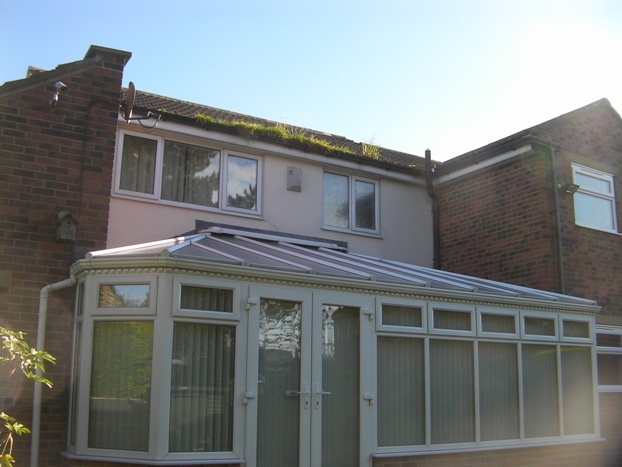 In serious case’s moss can help promote water ingress into roofs by diverting water flow and growing larger in roof tile ridges and gaps.